Mormon Wookiee: #111: Taking the Name of Christ Upon You. #111: Taking the Name of Christ Upon You. "A number of years ago I was seriously ill. In fact, I think everyone gave me up but my wife...One day, under these conditions, I lost consciousness of my surroundings and thought I had passed to the Other Side. I found myself standing with my back to a large and beautiful lake, facing a great forest of trees. There was no one in sight, and there was no boat upon the lake or any other visible means to indicate how I might have arrived there. I realized, or seemed to realize, that I had finished my work in mortality and had gone home. I began to look around, to see if I could not find someone. There was no evidence of anyone’s living there, just those great, beautiful trees in front of me and the wonderful lake behind me. “I began to explore, and soon I found a trail through the woods which seemed to have been used very little, and which was almost obscured by grass. I followed this trail, and after I had walked for some time and had traveled a considerable distance through the forest, I saw a man coming towards me. I became aware that he was a very large man, and I hurried my steps to reach him, because I recognized him as my grandfather. 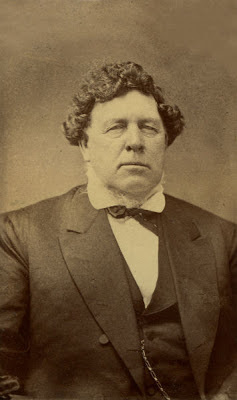 In mortality he weighed over three hundred pounds, so you may know he was a large man. I remember how happy I was to see him coming. I had been given his name and had always been proud of it. “He stepped forward and took me in his arms, and as he did so, I became conscious again of my earthly surroundings. 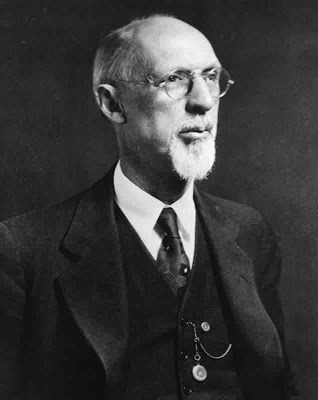 My pillow was wet as though water had been poured on it—wet with tears of gratitude that I could answer unashamed” (George Albert Smith, “Your Good Name,” Improvement Era, Mar. 1947, p. 139). Just like President Smith, when we were born, we too were all given a name. Perhaps, like him, we were named after a family member or close friend. Or, perhaps we were named after an important historical or scriptural figure. 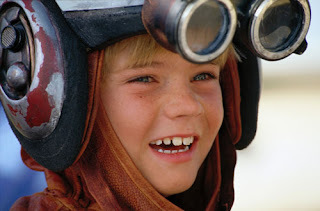 Or maybe some of us were given a name that is completely unique or simply sounded appealing to our parents ("Anakin" for example). Whatever the case may be, once we have been given our name, it truly becomes a part of who we are. For the rest of our lives, we are known by our name to all those with whom we meet and interact. Every action we take and every word we speak is tied to our name. Anakin Skywalker: Unique name. Unique goggles. The prophet Helaman named his two sons Nephi and Lehi and explained to them why he chose these particular names. He said,“Behold, my sons, … I have given unto you the names of our first parents [Lehi and Nephi] … ; and this I have done that when you remember your names … ye may remember their works; and when ye remember their works ye may know how that it is said, and also written, that they were good. Therefore, my sons, I would that ye should do that which is good, that it may be said of you, and also written, even as it has been said and written of them” (Helaman 5:6). In addition to the name we are given at birth, there are other names we can choose to give ourselves as a result of some of the things we associate with and some of the activities we choose to take part in—these names can relate to our schooling, such as Ute or Cougar (okay, okay, or even Aggie), can relate to our career choices, such as accountant or teacher, can relate to marriage, such as when Diane became a Dalton (I love you, babe! ), or can relate to things we enjoy, such as Star Wars nerd or Jazz fan. However, as important as each of these names may be, I’d like to suggest that there is one name that is even more significant and meaningful to our lives. It is a name that we express a willingness to take upon us when we fulfill the covenant of baptism and each week when we partake of the sacrament. What is this name? It is the name of Jesus Christ. As members of his Church, in the routine of taking the sacrament each week, do we sometimes forget the significance of this name? Do we ever stop and consider what it really means to take upon ourselves the name of Jesus Christ? 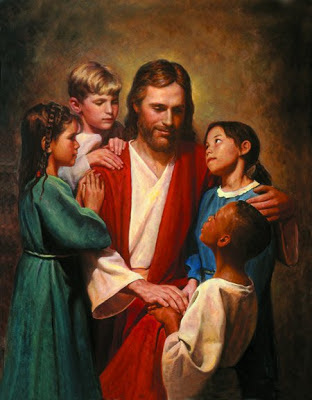 "Christ and Children" by Del Parson. Elder Dallin H. Oaks said, “Our witness that we are willing to take upon us the name of Jesus Christ has several different meanings. Some of these meanings are obvious, and well within the understanding of our children. Others are only evident to those who have searched the scriptures and pondered the wonders of eternal life” (Ensign, May 1985). I would like to consider some of these meanings and how they can help us to more fully take upon ourselves the name of Christ. 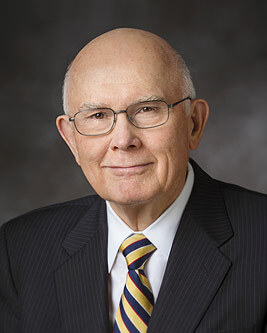 Elder Dallin H. Oaks: Professor. Lawyer. Apostle. Stud. One obvious meaning of being willing to take upon us the name of Christ is when we call ourselves members of The Church of Jesus Christ of Latter-Day Saints. 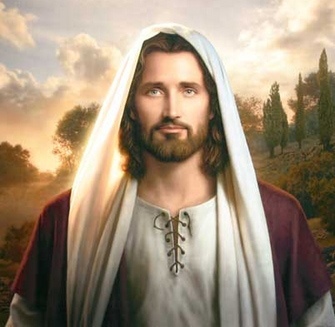 After his resurrection, Jesus counseled the Nephites: “Therefore, whatsoever ye shall do, ye shall do it in my name; therefore ye shall call the church in my name; and ye shall call upon the Father in my name that he will bless the church for my sake” (3 Nephi 27:7). And in this modern dispensation, the Lord has clearly stated: “For thus shall my church be called in the last days, even The Church of Jesus Christ of Latter-day Saints” (D&C 115:4). Elder M. Russell Ballard has said, “I have thought a lot about why the Savior gave the nine-word name to His restored Church. It may seem long, but if we think of it as a descriptive overview of what the Church is, it suddenly becomes wonderfully brief, candid, and straightforward. How could any description be more direct and clear and yet expressed in such few words? Every word is clarifying and indispensable. The word 'The' indicates the unique position of the restored Church among the religions of the world. "The words 'Church of Jesus Christ' declare that it is His Church. "'Of Latter-day' explains that it is the same Church as the Church that Jesus Christ established during His mortal ministry but restored in these latter days. We know there was a falling away, or an apostasy, necessitating the Restoration of His true and complete Church in our time. "'Saints' means that its members follow Him and strive to do His will, keep His commandments, and prepare once again to live with Him and our Heavenly Father in the future. Saint simply refers to those who seek to make their lives holy by covenanting to follow Christ" (Ensign, November 2011). 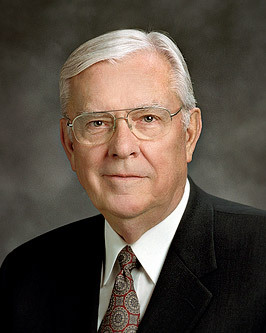 Elder M. Russell Ballard: Businessman. Beekeeper. Apostle. Stud. “After I returned from my mission, finished business school, and began my career, I began to feel the Spirit less and less in my life. I was serving as a counselor in a bishopric, and I was spending a lot of time and energy to magnify that assignment. I was praying and studying the scriptures regularly, and yet despite my doing all these ‘right’ things, I just felt that the Spirit was not with me as much as I had felt it when I was on my mission in Korea. “Then we moved to Washington D.C, where I was to work for a year as a White House fellow. All of a sudden, we lived and worked and commuted with new people, and I found myself with many more opportunities to discuss the gospel with my new friends. Shortly thereafter, two of my colleagues accepted my invitations to come to our house and take the missionary lessons. “Before one of our lessons with them, we were scurrying around to clean things up. I put a tape of the Mormon Youth Symphony and Chorus into the stereo, and the choir began playing their rendition of ‘The Spirit of God’. I was in the dining room when they began the third verse: ‘We’ll call in our solemn assemblies in spirit, To spread forth the kingdom of heaven abroad, That we through our faith may begin to inherit The visions and blessings and glories of God.' As I heard those words, a powerful and sweet spirit entered my heart, and I realized what had been happening in my spiritual life. With our move to Washington, I had begun again to do my part in spreading forth the kingdom of heaven abroad. And what I inherited as a result were the visions and blessings and glories of God. I had begun feeling the Spirit again on a daily basis. My dreams were about spiritual things, and I was signing the hymns of the Restoration as I walked to the bus stop. “I’ll summarize the lesson I learned from this with a metaphor. In a war, the generals give the state-of-the-art weapons to those soldiers who are on the front lines engaged in direct combat with the enemy. 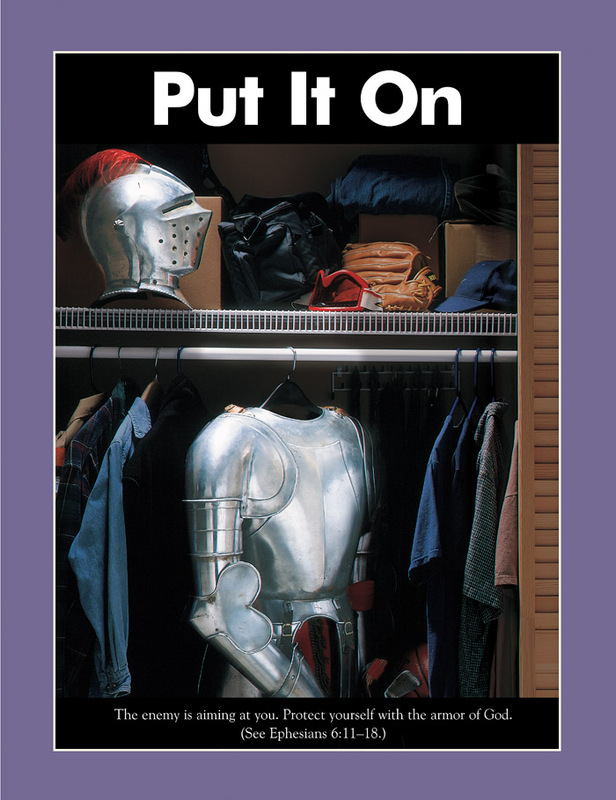 To those of their troops who work in administrative positions behind enemy lines (like when I was serving in the bishopric), they are given less-potent tools. What had happened was that I had been spending more of my Church service on administrative things. I could do most of those things effectively, without needing to rely very heavily on the Spirit. But in becoming an active missionary again, I had essentially repositioned myself onto the front lines in the war against Satan over the souls of men. This meant that I needed the Spirit with me every day. In effect, I was keeping myself on the front lines. 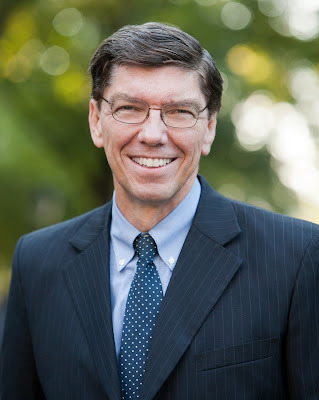 God, as my General, stands at the door when I go out every morning; and, knowing what the war is like, day after day He gives me His most powerful weapon: His Spirit” (Clayton M. Christensen, "The Power of Everyday Missionaries"). "Armor of God" Mormonad from the "New Era". I think that if we are not feeling the companionship of the Holy Ghost as much we would like to, we may want to try to put ourselves on the spiritual front lines by sharing the gospel. I can testify that we gain a greater measure of the Spirit when we are thinking outside of ourselves and focusing on others. As I have tried to share the gospel with others more often, particularly when prompted to do so at work, I have indeed felt the Spirit more in my life. I don’t automatically go up to a new coworker, and say, “Hey, nice to meet you. Did you know that Mormons are awesome? You should totally become one”, because that would not be appropriate or sincere (and it would likely be an HR violation). Rather, I have found that first treating others with love and kindness in the day-to-day prepares both of our hearts and makes future opportunities to share the gospel much more sincere and comfortable. And then when THOSE opportunities arrive, the Spirit will be there. To further paraphrase Elder Oaks, one very important thing to point out is that when we partake of the sacrament we do not actually take upon us the name of Jesus Christ. Rather, we witness that we are willing to do so. The fact that we only witness to our willingness indicates that there is something else that must happen before we actually take the name of Christ upon us. One possibility considers the way the name of Christ relates to the authority of Christ. In the Doctrine & Covenants, the Lord said: “Wherefore, let all men beware how they take my name in their lips—For behold, verily I say, that many there be who are under this condemnation, who use the name of the Lord, and use it in vain, having not authority” (D&C 63:61-62). Taking the name of Christ upon us is not something we can do alone. He must grant this authority to us. And once He does, we must also remain worthy to act in his name. The Lord has said, “But when we undertake to cover our sins, or to gratify our pride, our vain ambition, or to exercise control or dominion or compulsion upon the souls of the children of men, in any degree of unrighteousness, behold, the heavens withdraw themselves; the Spirit of the Lord is grieved; and when it is withdrawn, Amen to the Priesthood or the authority of that man” (D&C 121:37). Lastly, the most important way that the name of Christ comes upon us is through his infinite atonement. The great prophet King Benjamin told his people, “There shall be no other name given nor any other way nor means whereby salvation can come unto the children of men, only in and through the name of Christ, the Lord Omnipotent" (Mosiah 3:17). "I Am" by Simon Dewey. Wonderful post, Steve. Thanks so much for your insight. Thanks for the post Steven. It was a nice breath of fresh air for me. Rick and I keep thinking that we need to get together with you and Diane--soon! 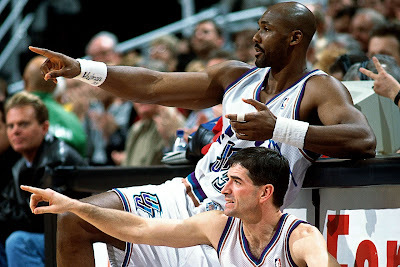 Hope you're both doing well. Tell Diane "hi"! This is really great. Thank you for giving me so many wonderful insights and ideas for my lesson this week. That is kind of you to say! Thank you.